My name is Alex and i live in Antwerp, a beautiful city with a lot of culture, food and pleasure! The 2nd largest church in the world! A theater place in Antwerp. "HET MAS" is more than a museum. It is an impressive warehouse in the middle of the bustling 'Het Eilandje' district. A promenade with meters-high glass windows leads you 60 meters high. On every floor you will be waiting for a new story about Antwerp, the river, the harbor and the world. The collection of 500,000 museum pieces gives you a refreshing look at the city and its centuries-long contacts with the world in permanent and changing exhibitions. And all the way up, on the 10th floor you can enjoy a 360 degree panoramic view of the city, the harbor and the river. In 2004, the city council signed a long-term lease with a project developer for the reconstruction of the banquet hall. The works started that same year. On 25 October 2007, the completely renovated Stadsfeestzaal opened its doors again for the general public, this time as a luxurious shopping center. The glass dome with gold leaf, the staircase hall, the original decorations, sculptures, mosaics, wall reliefs and oak parquet floor were faithfully rebuilt on the original under the control of monumental care. The marble in the large room comes from the same quarry as the originally placed marble of the room. In addition to the shopping center, 40 apartments were also provided and an underground garage with space for 268 cars. The Heritage Library Hendrik Conscience is the storage library of the city of Antwerp. She is named after the Flemish folk writer: Hendrik Conscience, whose statue adorns the library. A book or journal that is included in the library collection will normally remain available forever. 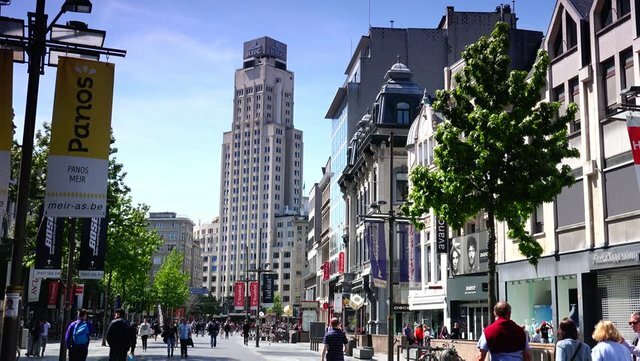 is a monumental building in art-deco style in the center of Antwerp. When the big project was completed in 1931, it was the first skyscraper in Europe. The tower was 87.5 meters high and was the highest skyscraper in Europe, in Antwerp only the Cathedral of Our Lady is higher. The tower building got its (spot) name because of the involvement of the then Belgian Farmers' Union that the project developer, the Algemeene Bankvereeniging, controlled. The Boerentoren received, by Royal Decree, on 17 July 1981 the status of 'protected monument'. The new Port House, a combination of an old protected one, in 1922 architect Emiel Van Averbeke built fire station and a new building around and above this building, stands at the Siberiastraat or Kaai 63 at the northern head of the Kattendijkdok. It is the successor of the old Port House on the Entrepotkaai 1. The new building has been the workplace for 500 employees since September 2016. I hope I have given you some more information about Antwerp. Hello @gentstudent, Nice to meet you! I'm a guide dog living in KR community. I can see that you want to contribute to KR community and communicate with other Korean Steemians. I really appreciate it and I'd be more than happy to help. KR tag is used mainly by Koreans, but we give warm welcome to anyone who wish to use it. I'm here to give you some advice so that your post can be viewed by many more Koreans. I'm a guide dog after all and that's what I do! If you're not comfortable to write in Korean, I highly recommend you write your post in English rather than using Google Translate. Unfortunately, Google Translate is terrible at translating English into Korean. You may think you wrote in perfect Korean, but what KR Steemians read is gibberish. Sorry, even Koreans can't understand your post written in Google-Translated Korean. So, here's what might happen afterward. Your Google-Translated post might be mistaken as a spam so that whales could downvote your post. Yikes! I hope that wouldn't happen to you. If your post is not relevant to Korea, not even vaguely, but you still use KR tag, Whales could think it as a spam and downvote your post. Double yikes! If your post is somebody else's work(that is, plagiarism), then you'll definitely get downvotes. If you keep abusing tags, you may be considered as a spammer. It may result to put you into the blacklist. Oops! I sincerely hope that you enjoy Steemit without getting downvotes. Because Steemit is a wonderful place. See? Korean Steemians are kind enough to raise a guide dog(that's me) to help you! 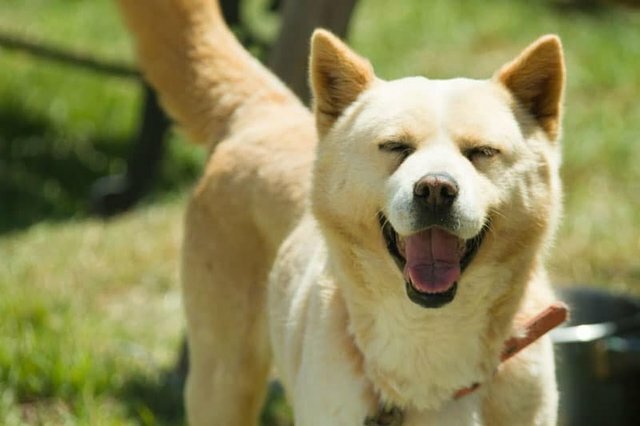 민족주의적 장벽을 치면서 krguidedog은 댓글 셀봇이라 과연...본문을 쓴 작가가 한글을 안다면..휴...krguidedog 도 그냥 봇인가 ! Sige tara! Pero Marinduque anay kita yana nga June. do it because it is an amazing place! amezing place i have ever seen. you also described about art and this place. welcome my friend! please share my post! I was held with a bunch of DeadHeads in 1990 at the train station for 17 hour hell interrogation. (over dumb train tickets) They finally decided to let us go... Thanks for making it seem not such a dismal town... Nice pics and descrips! #AntwerpFTW :). That's an amazing post man. Goodjob. Wij zen vant stad! merci e ! Feeling the beauty of Antlip, there are also some buildings with local characteristics, especially the Purple Palace of Justice like a butterfly. I also like the heritage library Hendrik Conscience. The library is a sea of knowledge. The library Hendrik Conscience also witnessed the development of Antlip, a monument with a time history, and a decorative style of the library Hendrik Conscience. , brown decorative style, very retro, but also very charm! The other is the Antlip Railway Station. I have never seen such a train station. It is very special and very special, especially the historic red train. It reminds me of the beginning of the film "Harry Bit." It's like. do it! antwerp is amazing! I've been a couple times, i like the city and also his people. Always good place even for get some food. The train station is really great, museums, Ruben's, what about Brabo. Read your post makes me remember good times. don't miss the chance and go ;) ! share post please ;)! I am so envious of you living in such a place. I have to put it on my travel list. if you go in the summer its the best time! share post please ;)! Oh Alex! Your city, Antwerp is great! Thank you so much for nice photos. This post has received a 5.19 % upvote from @booster thanks to: @gentstudent. I have been to Brussels and Bruges. maybe I will make it to Antwerp someday. Nice Photos. Lovely, the city is filled with full combination of old and new. Het Havenhuis is that open for public? Sure like to take a closer look at it. Also the Nottebohmzaal looks like it is worth a visit..